Jason Statham is not a man to avoid franchise movies. He’s the lead in the first three Transporter movies and he also joined the Fast & Furious universe starting with a cameo in Fast & Furious 6. Despite liking to appear in franchise films, he has yet to show up in a major superhero project from either Marvel or DC. Apparently, it’s not because of a lack of trying from Marvel, however. 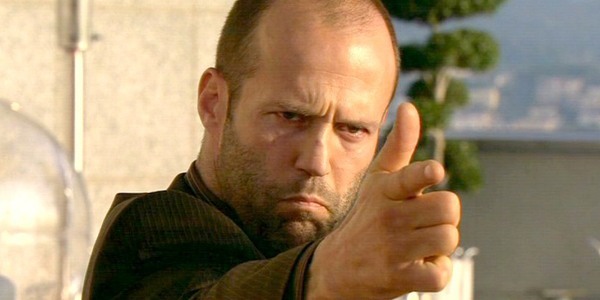 Recently, Kevin Feige revealed that the studio had asked Jason Statham to take on a role in one of the studio’s films. We talked with him about doing a role in one of our movies. It didn’t end up working out, his schedule didn’t work out. I was in another meeting a few days later, and my cellphone rang. I didn’t recognize the number, but I answered it. And it was Jason Statham. He was saying ‘Sorry it didn’t work out, maybe next time’. He couldn’t have been nicer. While Jason Statham has still not appeared in a Marvel movie up to this point, Kevin Feige was quick to point out that Statham handled the whole thing rather graciously. He also indicated to Den of Geek that the door is open for the actor to work with the studio should another project arise in the future. What he didn’t say was which role Jason Statham was being considered for in the MCU before he had to back out due to scheduling. Maybe Statham himself will reveal the answer at a later date. If you’ve been keeping tabs on Jason Statham over the past few years, you may already know the actor was rumored to be appearing in Marvel’s Daredevil TV series over at Netflix. Unfortunately, those rumors coincided with Jason Statham also being critical of Marvel’s frequent use of green screen in its stuntwork. Daredevil Season 2 ended up featuring Frank Castle aka The Punisher and Elektra Natchios. Bullseye was nowhere to be seen. There are several actors related to the show that don’t really want the Bullseye character to appear in general. But with Daredevil Season 3 ago at Netflix, anything could happen. Right now, Marvel is currently filming Avengers: Infinity War, and Thor: Ragnarok, Black Panther and the Sony/Marvel venture Spider-Man: Homecoming are all coming up without Jason Statham as a character. We know Marvel isn’t even planning to reveal most of its Phase 4 titles until after Avengers 4, so who really knows what Jason Statham could have on his horizon? While we wait for more Marvel titles to be revealed, Jason Statham has Spy 2 and the upcoming Meg already announced. He’ll also presumably be around in Fast & Furious 9, which has 2019 release date. We’ll keep you updated if he adds any Marvel projects to his slate. In the meantime, here’s the full list of what Marvel has coming up.